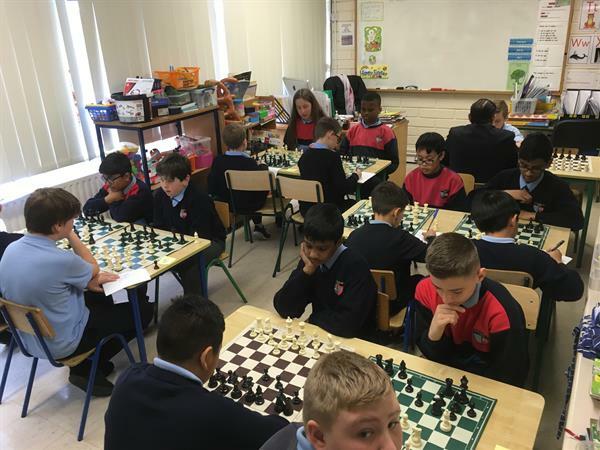 This year's Tallaght Schools Chess League has commenced and all our 6th classes are busy playing chess. The teachers will select pupils from 6th class to play against different schools involved in this competition. We will be playing St. Annes, St. Thomas', Our Lady of Good Counsel and St Maelruans. We wish all the players every success in their competition. 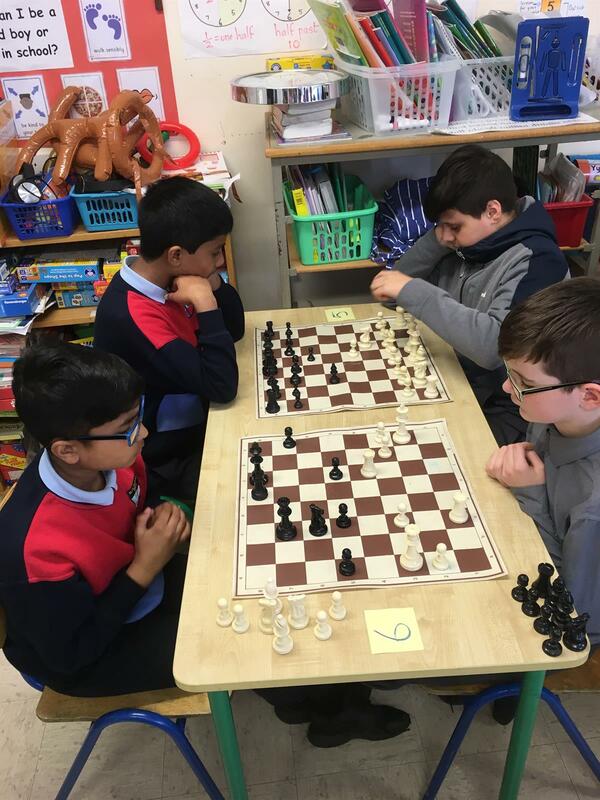 Competition chess sets are available to all classes. We ask all teachers to help and get their pupils playing during their free time. We look forward to seeing everyone getting the chance to play chess during their lunch breaks. The pupils can also play chess while visiting the computer room, using the chess app in their applications folder. Boys and girls are encouraged to take part and play in their classes. Chess is great fun and a very enjoyable activity for all.